It's a new year which of course means many of you have set yourselves some resolutions, things to improve or change. Well I didn't actually set myself any goals this year but one thing I knew could do with improving was my sleeping habits. So when I was asked if I would like to join in with Kalms Night 'Wake Up Ready' campaign I decided that I had nothing to lose. I'm not surprised to discover that one in three people in the UK reportedly suffer from poor sleep. A lack of sleep leaves me wanting to nap during the day, I'm snappy and irritable with others and I definitely rely on coffee to keep me going. Other symptoms which many people may demonstrate too include difficulty concentrating, forgetting things (story of my life) and becoming accident prone. Always get up at the same time - even at the weekend. It might seem like you need a lie in to make up for the sleep you haven’t got, but to break a cycle of sleeping problems you need to train your body into a good sleeping pattern. Avoid catnaps during the day. It’ll only make it harder to get into good sleeping habits. Replace caffeine and alcohol with hot milky drinks. Alcohol won’t help you sleep properly. If you are having trouble cutting out caffeine, set yourself a time in the day past which you don’t have it. Unwind with a hot bath and lavender bubbles. Both will aid sleep by helping you feel more relaxed. Exercising at night will actually make you more awake and you’ll find it harder to get to sleep. Get to bed at the same time every night. It’ll help your body prepare itself for sleep. Make your bedroom a shrine to sleep. No TV, no smart phones! Try writing them down before you go to bed. Try a traditional herbal remedy. 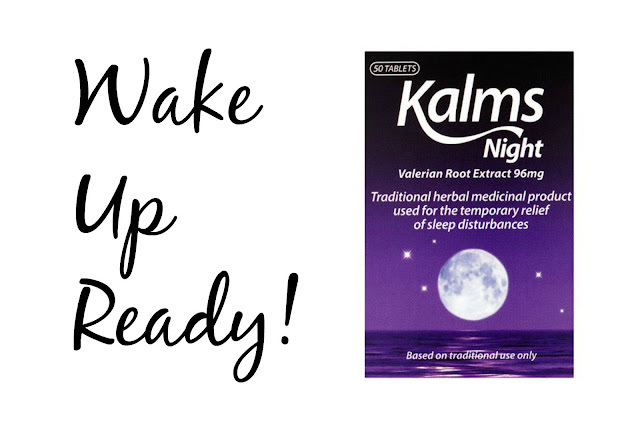 Valerian root has been used for centuries due to its natural sedative effect. If you can’t sleep, get up and do something (non strenuous) for a while. My problems at bed time are that even though I feel tired I just can't drop off, I seem to lay awake for hours and then I tend to over think things, the hubby's snoring then begins to wind me up and in the end I'm left get seriously frustrated with myself. It is a viscious cycle, one I would love to break. Reading through the tips I was provided with I chose a couple that I thought were more doable rather than jumping in and trying to do them all at once. So over the past 3 weeks I have been taking myself off to bed at 10.30pm and setting my alarm for 6am every morning. I've also tried to keep the TV off in the bedroom but my husband likes to have it on. The first couple of nights seemed to remained the same as always, laying there checking the clock every hour longing to keep my eyes closed but on the third day something seemed to click. Ok I wasn't going to sleep after 5-10 minutes but it wasn't taking hours either and as the days have progressed I've found myself feeling a lot more alert during the day too, my body seems to have responded to routine because now I find myself starting to get tired around 9.30/10pm rather than at 3 o'clock in the afternoon. Along with my change in diet and more active lifestyle I think I've definitely turned a corner with regards to my sleeping habits. I'm definitely waking up ready rather than rolling back over and pressing snooze repeatedly. It's been nice going through my day feeling refreshed rather than walking around like a zombie. If any of you struggle sleeping I'd definitely recommend you using the advice above to help ease the problem.